Think about how we'll improve your property, then get in touch for a free estimate! Over the years, we have developed and maintained a hard-earned reputation as excellent re-modelers, adept at a plethora of projects ranging from a complete overhaul to customized additions. But perhaps it is our client-centered approach to every project - large or small - that has led to our industry-leading status. 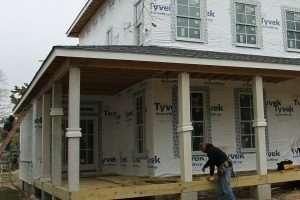 With over two decades and three generations of work within the home building industry, it's safe to say we’ve earned quite the reputation for being the premier solution in the field. Starting a home restoration project is exciting, yet imposing, which is why choosing the right partner for your project is so important. 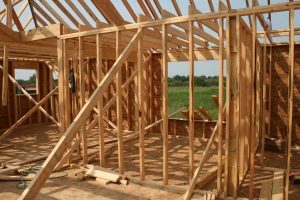 In addition to home remodels and restorations we also specialize in home and room additions, whether you're adding a sun room or a whole new wing on to your house, we can take care of everything you need. We also work with you to design and install the perfect deck for your home. Many of us specialize in decks and carpentry. Our talented team can also assist with maintenance and repairs. If you don't need your whole house renovated or restored we offer flooring installation for all types of flooring, from carpet to tile to hardwoods and laminates. 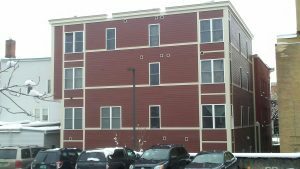 Our skilled tradesmen have decades of experience installing and repairing commercial and residential siding. We handle all materials with mastery, ranging from vinyl to wood, and beyond. Get in touch today! Let us take care of your interior and exterior painting, commercial and residential, from one room to your whole house. 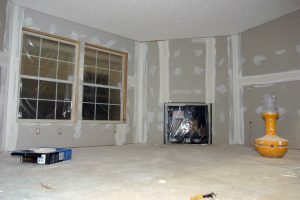 Let us take care of your drywall needs, from small repair (water damage, etc.) to new construction. 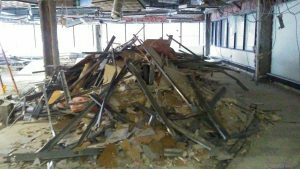 Whether you need a home cleanout or commercial teardowns, let us handle your demolition needs. 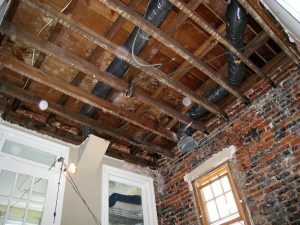 Pro-Tech Contracting specializes in Home Remodeling, Home Restoration, Home Additions, Deck Installation, Siding Services, Interior Painting, Exterior Painting, Drywall Services, Kitchen Remodeling, Bathroom Remodeling, Residential Demolition, Commercial Demolition Services, Interior Electrical Work, Exterior Electrical Work, and many more home services and commercial construction capabilities. Contact Larry at protechcontracting1@gmail.com or (802) 318-0205 for more information today! Call or email today for an estimate! and much more, so for all your contracting, construction, and similar needs just get in touch for your free estimate.